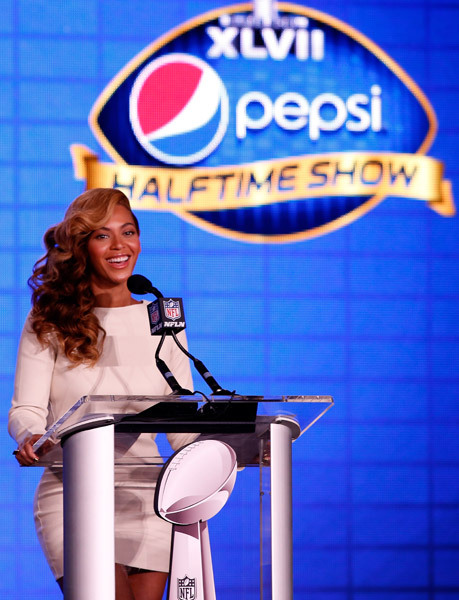 Beyoncé definitely shut the haters and critics right up after she sang the national anthem at the Super Bowl Halftime Press Conference. And please believe did Beyoncé SING! A lot of people, blogs, websites, the news have all been talking about Bey's performance of the Star Spangled Banner at this years Inaguration after they said that the singer 'lip-synced' it. 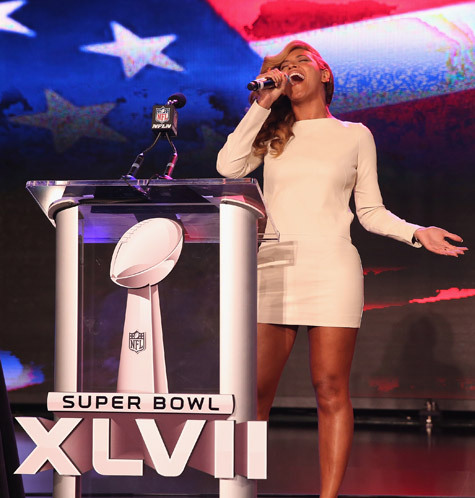 To kick off the press conference of the Super Bowl XLVII, Beyoncé sang the American national anthem and then asked 'any questions?'. So, any questions after seeing this performance? I think not. Cheque please.